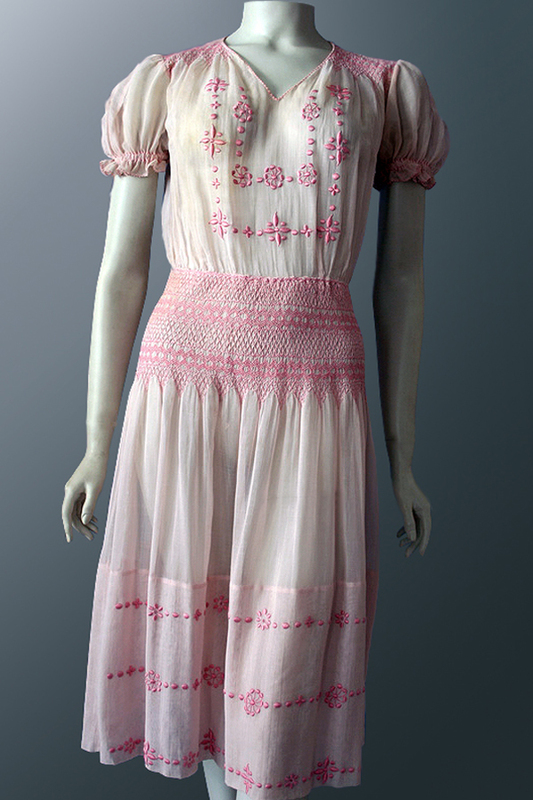 These gorgeous 1920s - 1930s cotton-voile Hungarian embroidered dresses are so rare now. 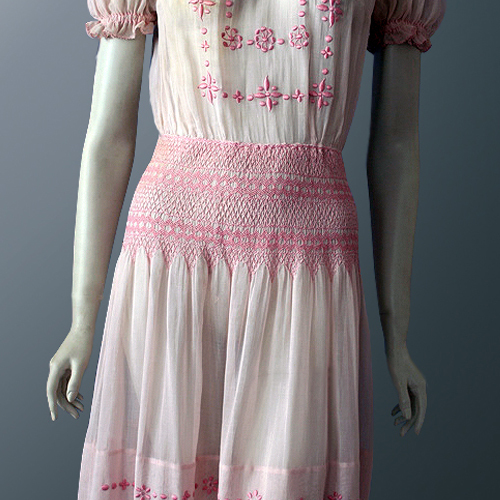 It is amazing how timeless the style is. 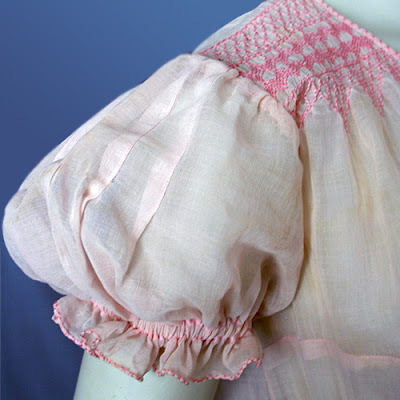 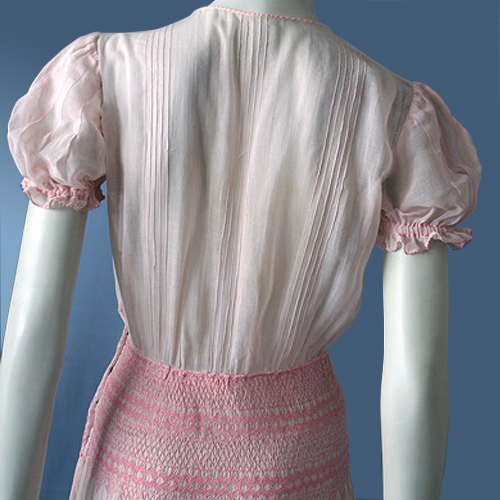 Just love the smocked band around the hip area.